Involvement in extracurricular activities, such as school clubs, athletics, band, FFA, 4-H, Boy Scouts, Girl Scouts, church activities, and any other organized activity requiring the development of teamwork, interpersonal skills, and diversity are encouraged and scored for selection purposes. Applicants are expected to have had experiences with a variety of animals. Some of this experience must be while observing veterinarians in an actual veterinary medical practice. 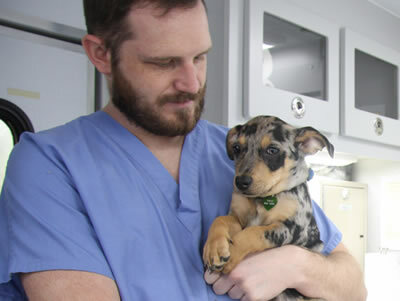 Many veterinarians will permit prospective veterinary medical students to spend time observing activities in their practice. High school students considering veterinary medicine as a career are encouraged to seek out such opportunities to see the actual practice of veterinary medicine. Agricultural, biomedical, research, and public health experience is also highly regarded.